I have finally found a chambray shirt! I've been wanting one for forever, and discovered the perfect one while shopping at, you guessed it, Plato's Closet! It was only $6 and I've already made it a staple in my closet. I haven't paired denim and denim with it yet, so I decided printed jeans were the way to go. 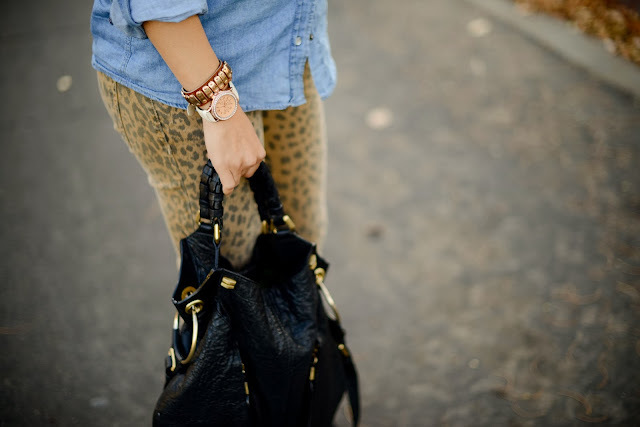 And since leopard is always one of my favorite prints, this outfit came together in a matter of seconds! I made plans with my mom, but we both decided we were too full from Thanksgiving and tired to go. We went mid-day on Friday and I was amazed by Target's deals. Forget big screen TVs and fancy headphones! They had 40% off all shoes, clothing, and accessories. I picked up these boots that are perfect for rainy days or dressing up simple outfits. I love that the heel isn't too tall and that the fabric used won't get ruined if it rains. Definitely worth the $20 price tag! Hope you all enjoyed your holiday and had many things to be thankful for! 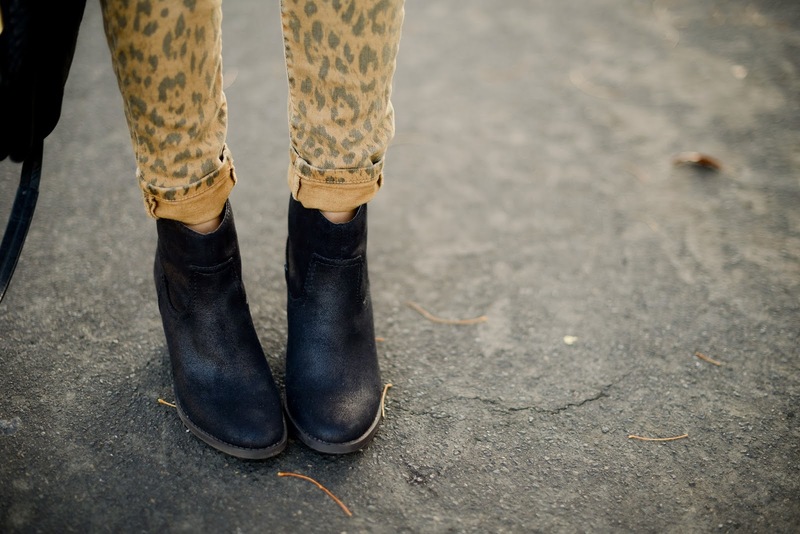 Thank you so much for reading and don't forget to enter my giveaway for a pair of Cushe boots.